Jøkelfjord is the imperial diamond of the Arctic. It seems to be an obscure fjord at 70 degrees north. Most people pass by. If you stop, you can experience something you cannot do anywhere else in Europe. The local cod stock in Jøkelfjord has been attractive to people as far back as the 1553. It has been documented that the fish has nourished the local communities for hundreds of years and today it has become immensely popular among sport fishermen. Some of the largest cods ever caught on rod have been hauled in Jøkelfjord. Adding to the excitement has been its innate danger. At the very innermost part of the fjord is the arm of the 44 square km Øksfjord glacier (Øksfjordjøkelen): The Jøkelfjord glacier. Jøkelfjordbreen is the only glacier on mainland Europe calving into the sea. When it does, it is potentially dangerous. Small tsunami-like waves can ripple through the fjord on occasions. The two-part glacier has receded in recent years. The lower part was in the sea a few years ago, but now the ice has melted to be above the sea level. 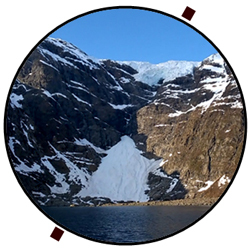 On a special excursion in mid May 2015, I could see the red marks made by British scientist showing how far the glacier has extended into the Jøkelfjord just a few decades ago. 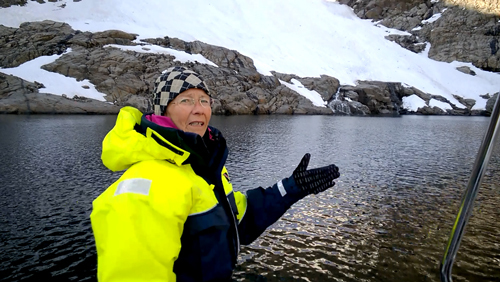 Ms. Synnøve Mathiassen at Synatur offers a short cut to this unique glacier. In a rubber boat you may enjoy a short hour to the ice instead of hiking there back and forth for seven/eight hours. Normally, the excursion is run one after another between 10 in the morning until six in the evening. Hiking is a great option if you enjoy hiking, the last part is a little tricky, but doable even for families. Excursions on the glacier itself with professional guides are also available. Glacier hiking is possible on the upper part of the Jøkelfjord glacier. This part is 700 meters above sea level. It is this part of the glacier that calves. From the time the calving starts until the debris hits the sea it takes about a minute, says Synnøve. We have witnessed near accidents of people too close to the glacier not aware of the oncoming calf. It was a miracle that no lives were lost in a spell of 30 years from the 1920s until the 1950s when the glacier was used as tap ice for the fishing industry. 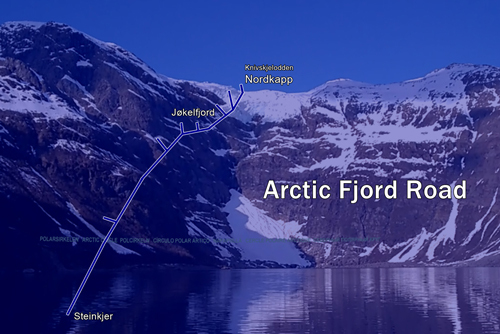 Three shifts of seven men would load big ships with ice from Jøkelfjord 24/7. The ice “production” of Jøkelfjord for most of Northern Norway ended when the fishing industry invested in modern ice making machines. Another miracle occurred in the latter part of World War II. 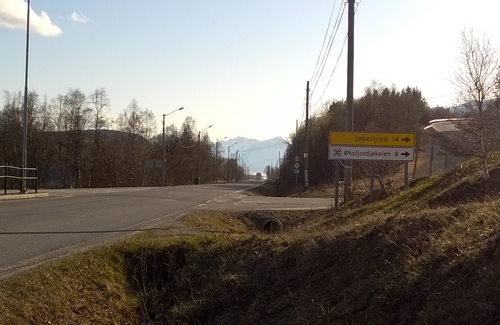 70 locals in Jøkelfjord and nearby Alteidet decided to disobey the Germans. The order was to evacuate Nord-Troms and Finnmark in the autumn of 1944. Instead, they stayed by the glacier in simple huts and boats flipped upside down. They even managed to keep a few cows from the Germans, which they kept on the east side of the fjord and would milk twice a day. The site was “safe” as the German soldiers feared the calving glacier so much that they would not check if any people were hiding there. After a couple of months, the local people were discovered nevertheless, and left the place in January 1945. Right after, the glacier had a big calf that would have swept the temporary dwellings into the sea. Today, the glacier does not have as big droppings as before. However, the glacier and excursion is still so special that Synnøve and her husband Birger have gotten praise from some unexpected people, in fact, some industry colleagues from Lofoten. They were curious on what is going on in Jøkelfjord and Synatur. 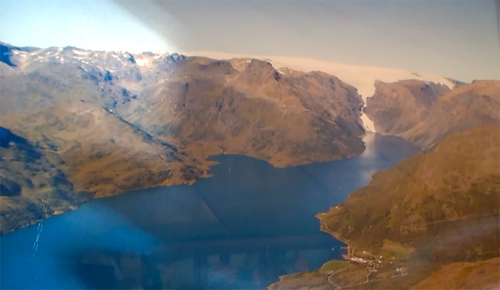 Their guests in Lofoten had been in such an awe of the Jøkelfjord glacier after a visit. I concluded that the soft adventure people of Lofoten go to Jøkelfjord for their travelling amusement, and rightly so. Almost ever since travelling became a fad, Jøkelfjord has been a destination. Onboard luxurious Hoenzolleren, on his journey that included North Cape, Emperor Wilhelm II of Germany visited Jøkelfjord twice between 1889 and 1913. 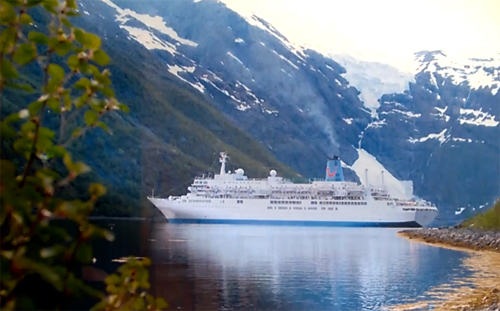 Even cruise ships today pop into Jøkelfjord every now and then. Bring your favorite whisky and have a drink with some special rocks.